Roger Revelle College student Lok Tin Wang filed a lawsuit against UC San Diego and math professor James Dilts on Nov. 2, alleging that Wang was incorrectly held to have violated the university’s academic scholarship policy and that he was deprived of his right to due process at his Academic Integrity Review Board hearing. Sentenced to a $50 fine, academic integrity trainings, and disciplinary probation, Wang is petitioning the San Diego Superior Court to reverse the AIRB’s finding and is not seeking any financial damages. According to the lawsuit, the AIRB determined that it was more likely than not that Wang violated the Policy on Integrity of Scholarship, which sets the standard for what is considered “cheating,” by using answers to homework sets in Dilts’ Math 170A class during Winter Quarter 2018 that Dilts had previously posted online in another quarter. Wang contests this decision on the basis that he had already begun, but ultimately did not complete, Math 170A with Dilts in a prior quarter, and the problems assigned as homework were identical in both quarters. Duc Trinh, a representative of Richter, expressed the same view of Dilts’ responsibility. 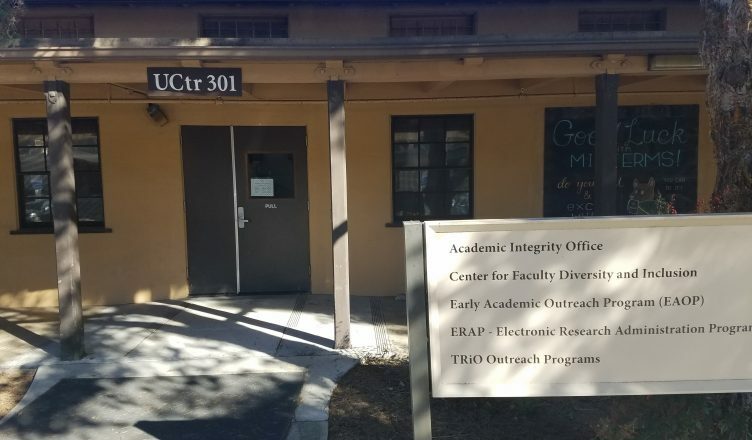 Trinh further stated that after this initial lawsuit on the academic integrity violation is resolved, Wang plans to proceed with a defamation lawsuit against Dilts specifically. Defamation lawsuits allege that the defendant has made false statements about the plaintiff in such a way that damage the plaintiff’s reputation. Although the majority of the court documentation on the lawsuit is dedicated to disputing the AIRB’s supposedly wrongful decision, the only argument made by Richter that is actually grounded in legal theory is the claim that Wang’s constitutional right to due process was violated at the AIRB hearing when the AIRB would not allow Richter to attend the hearing instead of Wang. Although Richter is claiming that the right to due process was violated because Wang was denied representation by an attorney, the minimum requirement for due process in matters with no criminal consequences, according to the U.S. Supreme Court, is notification and the right to be heard. According to Senior AVP of Student Advocacy Punita Patel, only representatives of the Office of Student Advocacy are allowed to accompany students to AIRB hearings, not outside attorneys. After being informed that the Policy on Integrity of Scholarship clearly dictates that students may only use student advocates as representation, Richter stood by his claim that Wang’s right to an attorney was violated. “First of all, who knows what those procedures are as a student,” Richter said, suggesting that he plans to use Wang’s ignorance of the policies to back his argument. Richter also claimed that because Wang is “immature and doesn’t know what he’s doing” and is not a native English speaker, Wang should have been entitled to outside counsel.